CMP Solo Low Smoke and Fume (LSF) cable glands (A2, BW, CW and E1W kits) terminate all type of steel wire armoured and unarmoured low smoke and fume cables. CMP Solo brass cable gland kits include LSF (Low Smoke and Fume), Halogen Free shrouds and seals. CMP Solo LSF cable glands provide mechanical retention and electrical continuity via wire armour termination. A genuine ‘low smoke cable’ is manufactured from materials which, in a fire, produce very low levels of smoke, gas and reduce the spread of flame. Such cables are commonly termed Halogen Free, Low Smoke & Fume (LSF), Low Smoke Zero Halogen (LSZH), or Zero Halogen Low Smoke (ZHLS). Low smoke cables have distinctive thermoplastic or thermoset compounds rather than the traditional PVC for their insulation, bedding, fillers and sheathing. 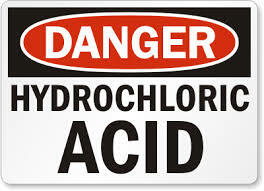 In the event of a fire, traditional materials containing halogens can release hydrogen chloride gas (HCl) which in the presence of water produces hydrochloric acid. HCl on the skin can cause severe burns and inhalation of HCl fumes can cause death. CMP Solo LSF cable glands are widely specified in the building services and construction industry to prevent public health dangers posed by toxic fume emissions in the event of a fire. The CMP Solo LSF brand of Low Smoke and Fume elastomeric compound formula ensures the highest degree of protection in terms of reduced levels of noxious fumes and toxic emissions generated from cable glands. CMP Solo cable glands are suitable for the cable termination of Prysmian Afumex type BS6724 power cables and 6491B single core wiring cables in building applications. CMP Solo LSF cable glands are the perfect partner for terminating and maintaining the integrity of BS6724 low smoke zero halogen (LS0H), XLPE/SWA power cable installations. ​Copper conductors, XLPE insulation, steel wire armour (SWA) with black Low Smoke Zero Halogen (LS0H) outer cable sheath. Video : LSF (Low Smoke Fume) vs LSHF (Low Smoke Halogen Free - Zero Halogen). Flame Test. LSF vs LSHF - Cables & Accessories. There is a difference. To clear up the confusion that still remains over the difference between LSF (Low Smoke and Fume) and LSHF (Low Smoke Halogen Free) cables, FS Cables recorded a very simple cigarette lighter test to show the difference. Using a the same piece of unscreened data cable in both LSF and LSHF version, a simple cigarette lighter flame was applied to both cables. The results are startling. As you can see the LSF cable very quickly begins to burn and give off black smoke. By contrast, see how the LSHF cable burns cleanly when exposed to the same heat source. The sheath swells and will eventually burn through in the same way as LSF but it is only producing a tiny amount of white smoke and almost no flame. As a rule of thumb, if the application calls for a data, signal or control cable in LSF, question it. If its a public access building such as an airport, hospital, prison, or hotel, where evacuation in the event of a fire may be restricted you will almost certainly need LSHF cable.